.....10 minutes later was walking out of the door with it. 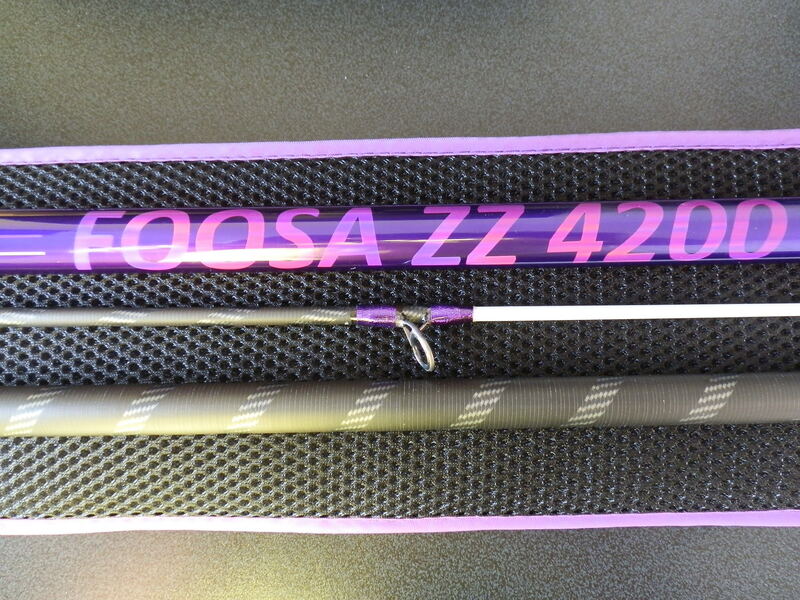 Yes, it was another BlackRock surf rod, this one named Foosa ZZ 4200 Rated 100-200g The rod has also been rated to a UK casting weight of 170g or 6oz. It was a bit like the Renaissance, i reviewed previously. Though the Foosa has a bigger price, retailing at £159.99. So why the price difference, you are thinking (i was). The vital statistics revealed the reasons. This blank is built with 40t (ton) carbon, where as the Renaissance is 24t (ton). Which you carbon heads will know as the higher the Tonnage the stronger & lighter the graphite and more expensive. 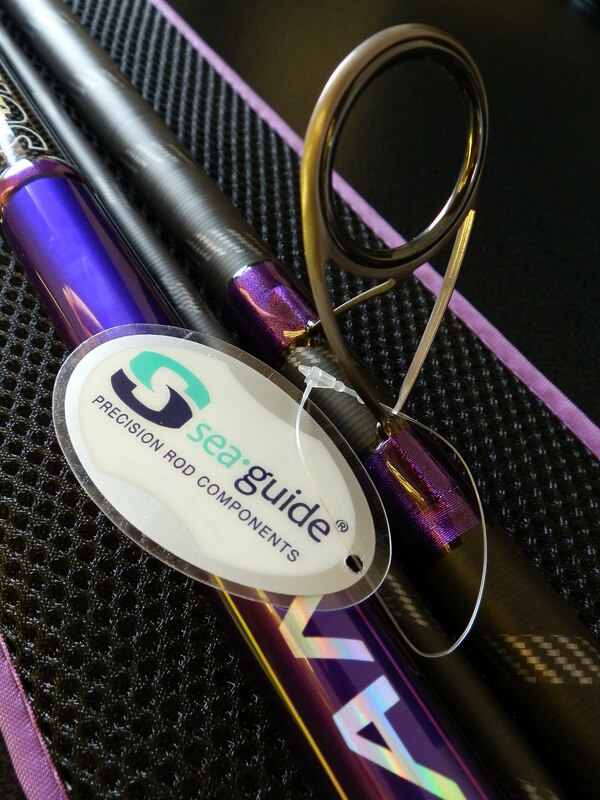 Rod eyes are again made by Sea*guide, but this time they have fitted gunmetal K series (sic) anti tangle eyes.. There is the white fibreglass Hybrid tip section.. 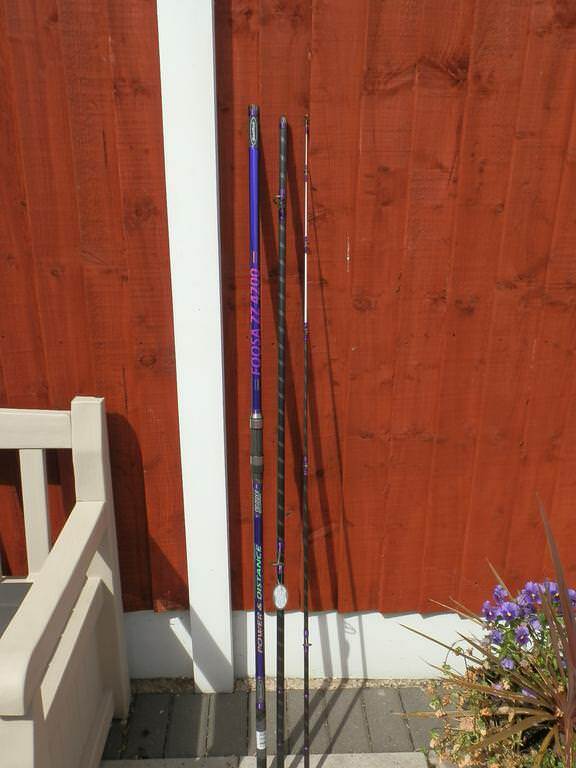 I set the rod up in the garden and gave it a good going over. 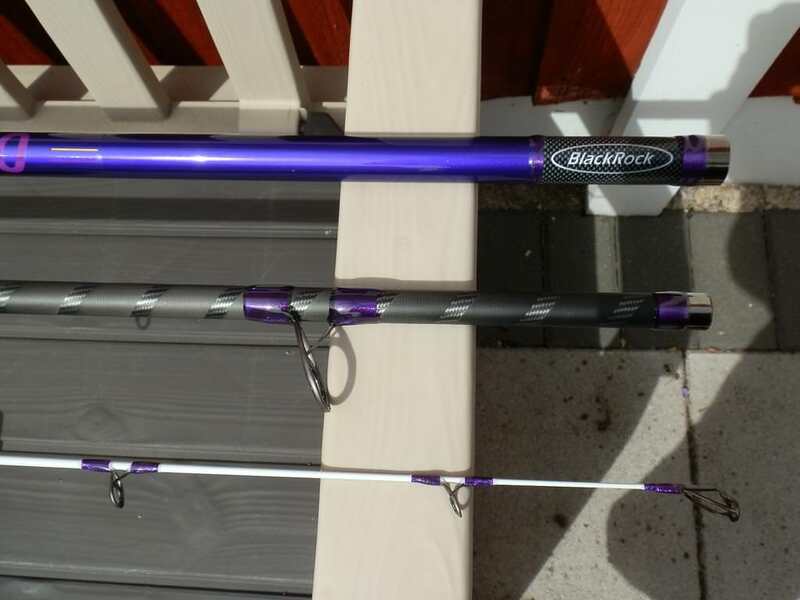 This rod has a bit of Grunt, but had to wait for the following weekend to try it out. Weekend came and we were back on the Gynn at Blackpool. Though the weather conditions were at best awful. 30mph south/westerlies and lots of weed. 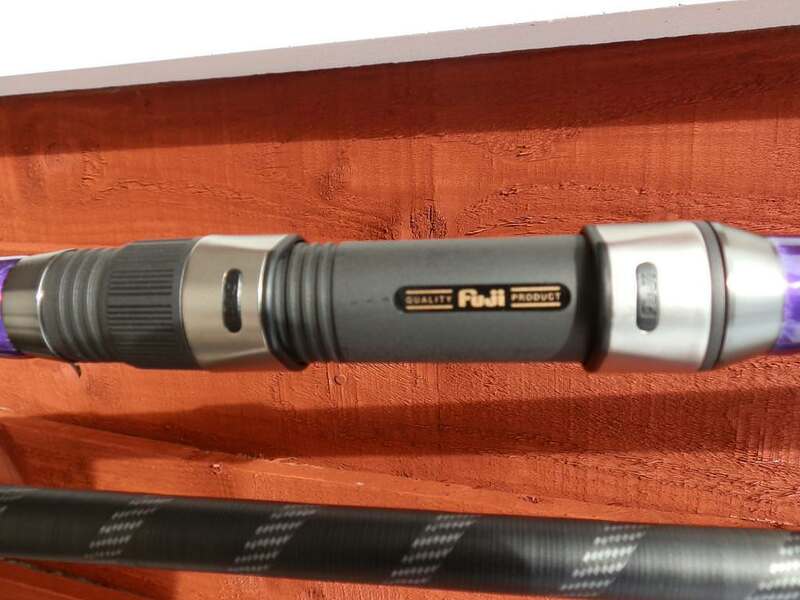 The Foosa was armed with a fixed spool and a 5oz lead. First cast and the lead sailed away...Impressive. I had another chuck and let the boys loose with it. Now the lads were taken aback just by it's looks and wanted one without having a cast. By the time they had finished with it, they didn't want one, they were getting one..! 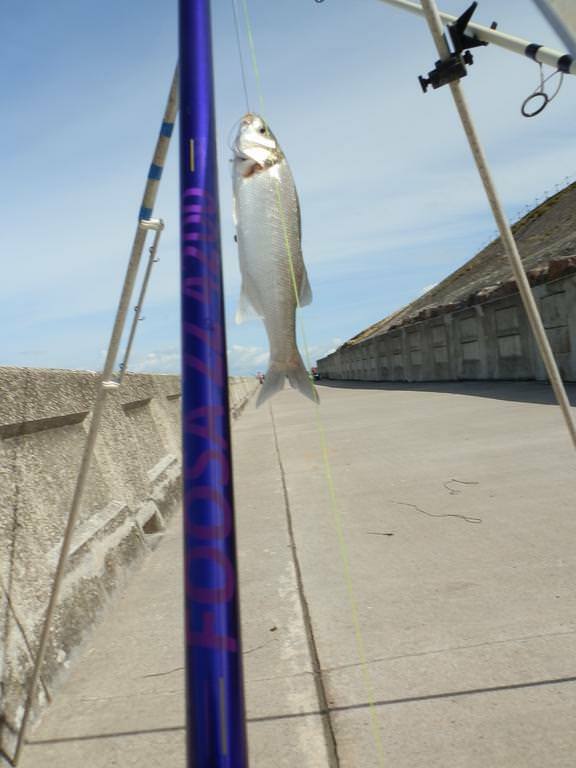 Later on at high tide i let go with a few OTG casts......This rod is a wolf in sheeps clothing. 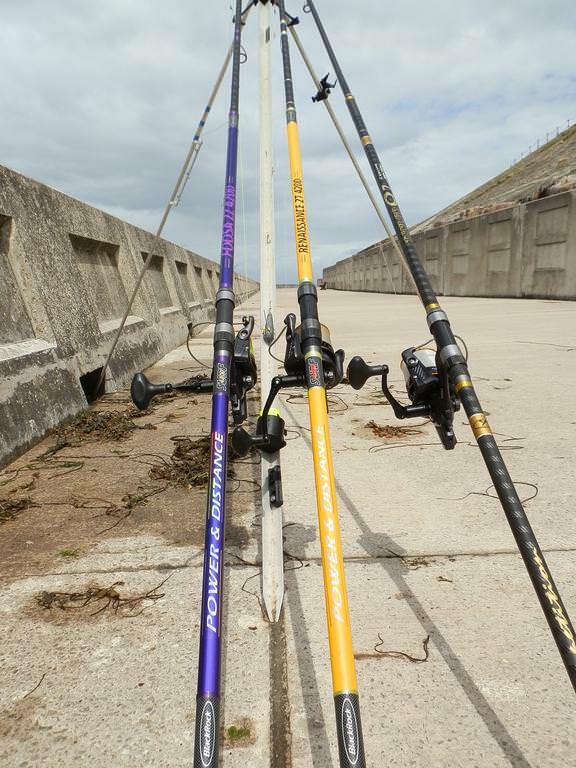 The lead was traveling far, an easy match for my more expensive rods...i kid you not..! and the lads were back and wanting more. 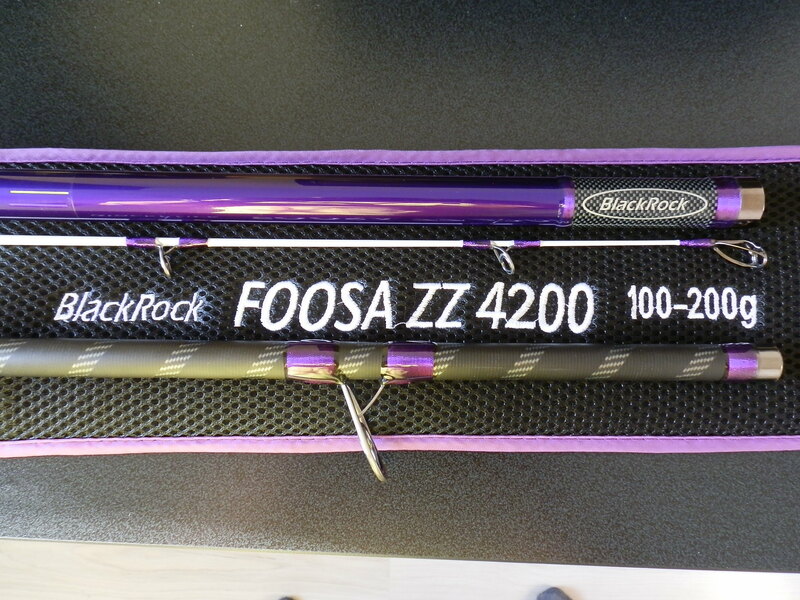 Don't be deceived by the Foosa's looks, it's not just pretty Purple, it's Awesome! It had coped easily with lots of weed and high winds. What i really needed were fish, but that would be another weekend. Back on the Gynn, better weather and hopefully a few fish to test it's mettle. 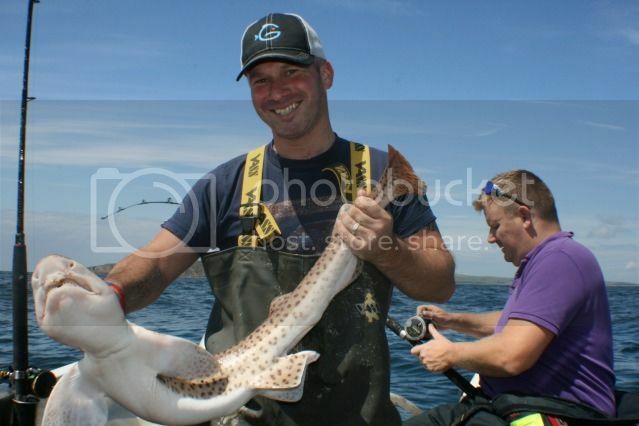 It didn't take long and the Foosa handled itself amicably, no problem lifting fish.. The lads were back again, There going to buy one. 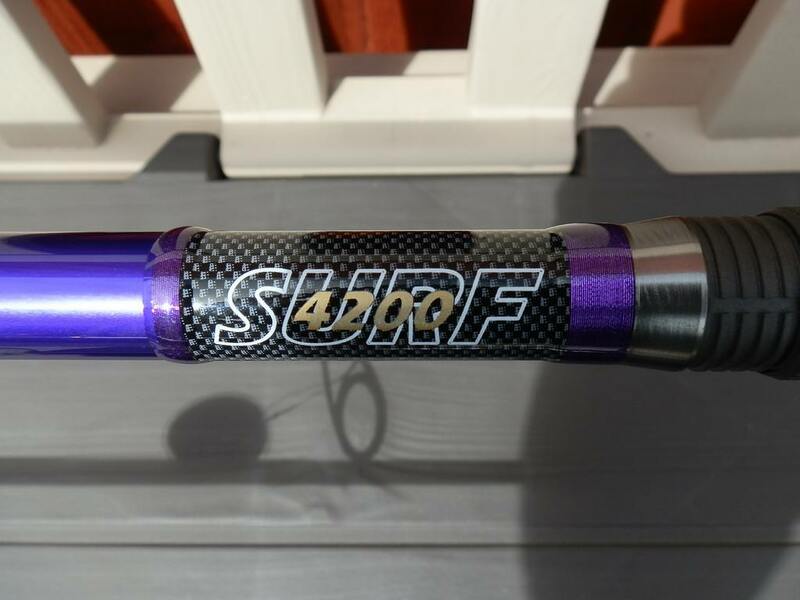 This rod ticks all the boxes. 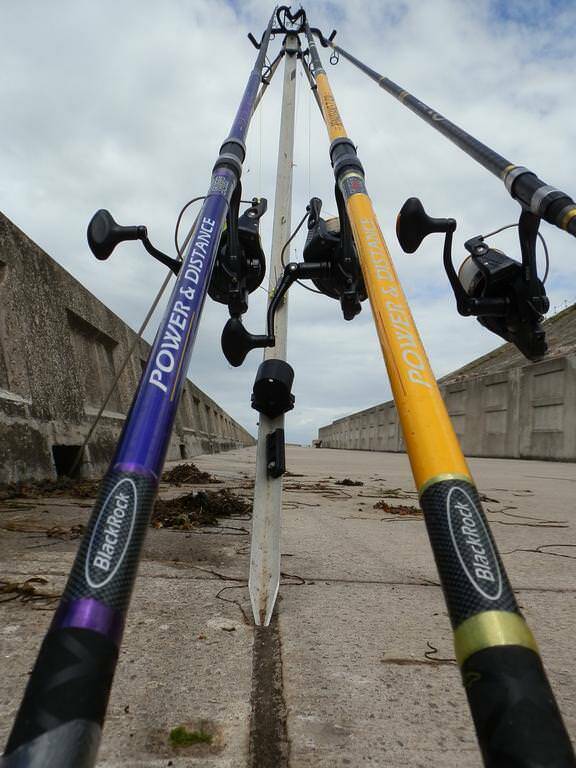 It's a match for any rod twice the price. Can handle anything you throw at it, slim blank and looks stunning...What else can i say ! Don't take my word for it, try one. You'll be shocked! 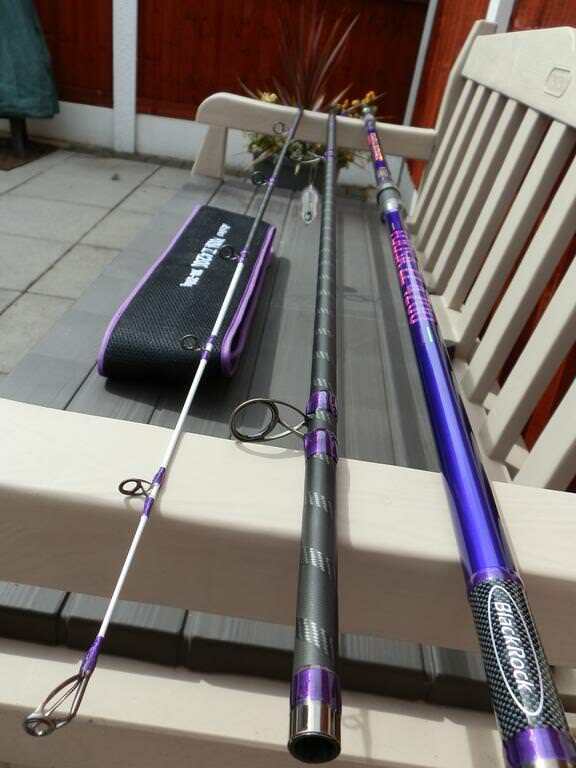 excellent review shacky, certainly looks the part, seems a lot of rod for not a bad price.